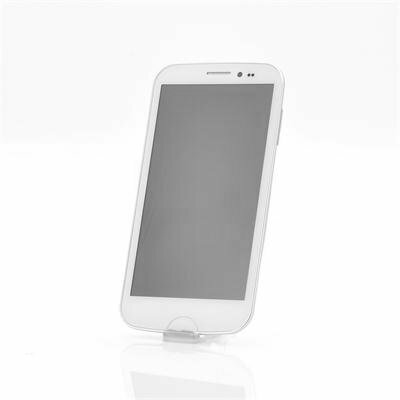 Successfully Added Quad Core 1.2GHz Android 4.2 Phone "ONN V9" - 5.7 Inch Screen, 8 Megapixel Rear Camera, 1GB RAM, 4GB Internal Memory (White) to your Shopping Cart. Quad Core 1.2GHz Android 4.2 Phone has a 5.7 Inch Screen, 8 Megapixel Rear Camera, 1GB RAM as well as 4GB Internal Memory provides the user a quality well rounded phone. 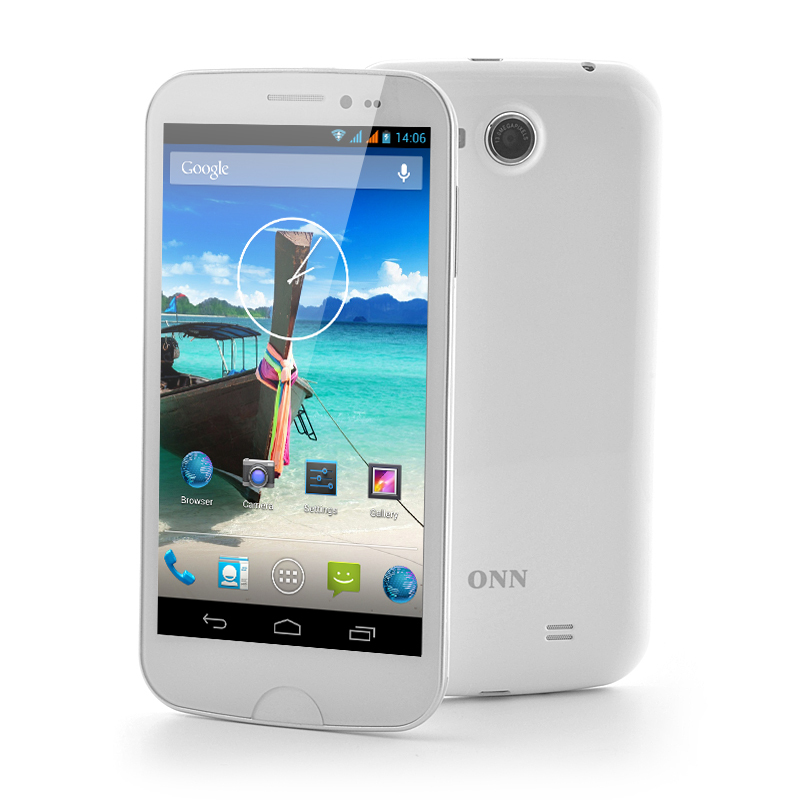 The ONN brands have struck again, but this time with a large 5.7 inch phone called the “ONN V9”. Using Android 4.2 Jelly Bean as the operating system, the “ONN V9” will run the applications that are downloaded and installed by the user from the Google Play store with little difficulty mostly due to the quad core 1.2GHz processor. The quad core CPU ensures that the “ONN V9” runs faster and quicker than standard singular and dual core CPU phones because the four independent cores can run multiple instructions at the same time, increasing the overall speed for programs compatible with parallel processing. There are two cameras on the “ONN V9” phone, with one being an 8 megapixel camera, which is ideal for snapping photos of cool scenery, friends, family members and obscure moments. Also the front camera is good for egotistical self portraits to upload on to Twitter and also for holding web conversations via applications such as Skype or WeChat. Store data on this phone’s built-in 4GB of internal memory or expand the existing memory by up to 32GB by inserting a micro SD card into the allocated slot. This phone is suitable for anyone who wants a cool quad core phone for viewing their media and exploring the Android world, or at the low price it will be an ideally back up smartphone. Come and get turned ONN with this fantastically price wholesale Android quad core mobile phone. This product is in stock and can be dispatched within 24 hours of ordering with a 12 month warranty. Brought to you by the leaders in wholesale electronics and android phones, Chinavasion.